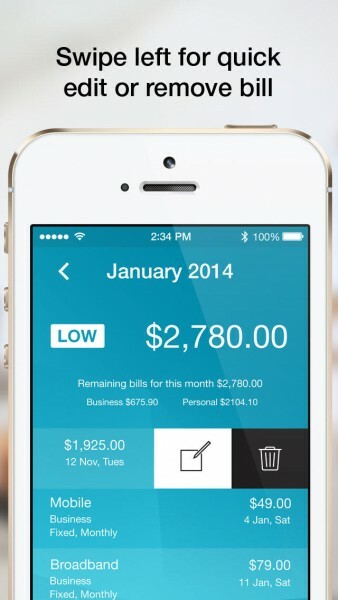 Bills Forecast ($1.99) by Minus 4º is a sleek app for helping you keep tabs of all of those pesky bills in your life. 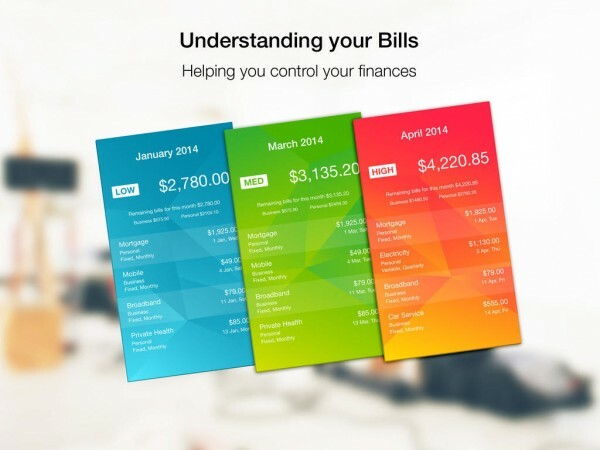 Managing your finances is one thing, but bills are a whole different beast to tackle. Oh bills, bills everywhere. No one looks forward to these — I sure don’t. Unfortunately, they are a part of life, and we just have to deal with it. But with all of the different types of bills that we can end up getting, keeping all of them in check can grow into a difficult task over time. Fortunately, Bills Forecast is here to help. Bills Forecast has a beautifully designed interface that will go together well with iOS 7. 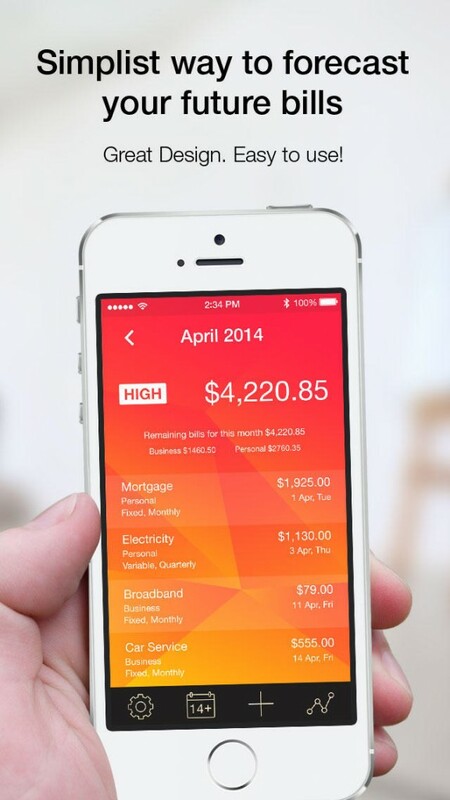 The screen background color will change depending on how much your bills are for each month, and the gradients used look fantastic and feature a simple geometric pattern to make it stand out a bit. 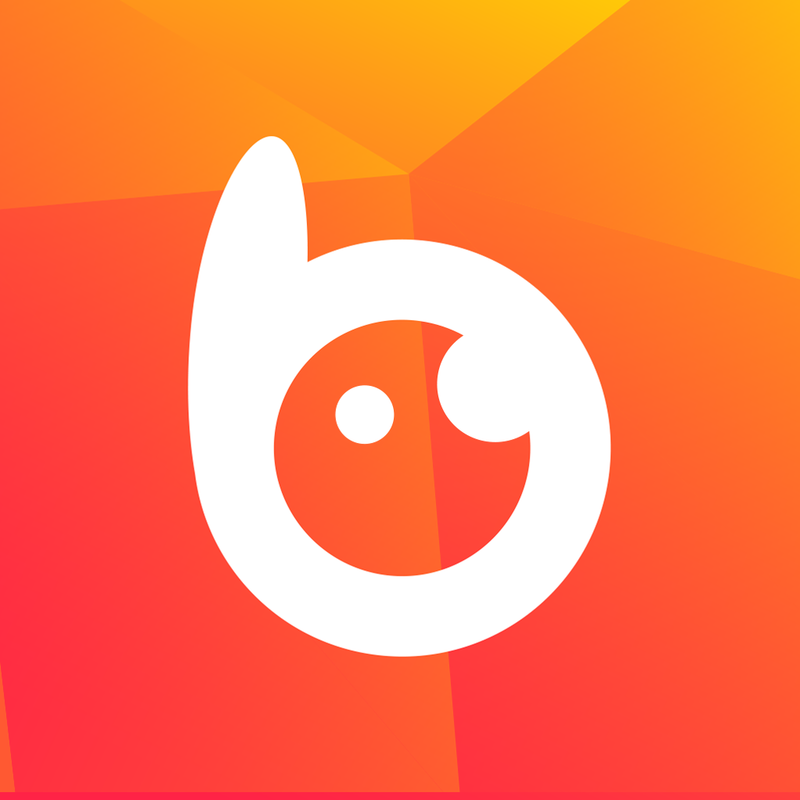 The text is easy to read, though the app’s layout itself may take some time to get used to. To enter your bills, just tap on the “+” button in the bottom toolbar. 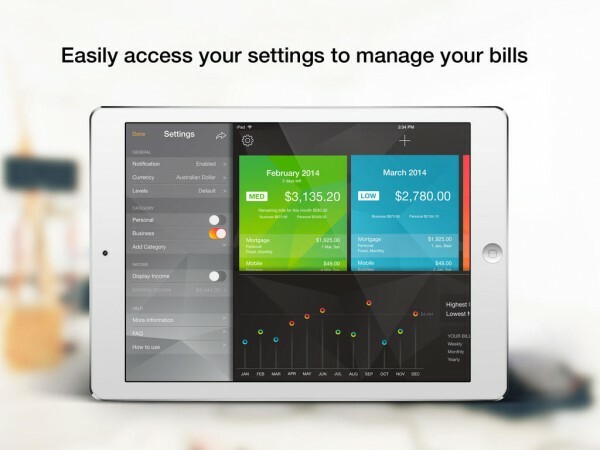 However, unless your bills fit into two categories of “Personal” or “Business,” I’d recommend diving into the settings to add a few custom categories if needed. 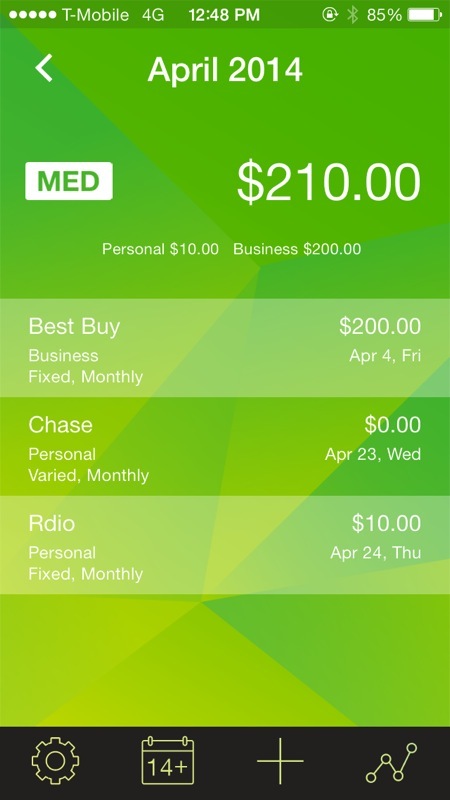 When adding new bills to the app, you just give it a name, and fill out the other information, including category, recurring cycle (once off, weekly, fortnightly, monthly, every two, three, four, six, 12, or 24 months), amount, type of bill (fixed or varied), due date, end date (not necessary if recurring forever), and whether to add it to your iOS calendar. The only thing about this adding process is the fact that you cannot add a new category from here, so you need to take care of that beforehand. Once you have added in all of your bills, you’re able to see a 12-month breakdown of how much money you will need to put towards them each month. 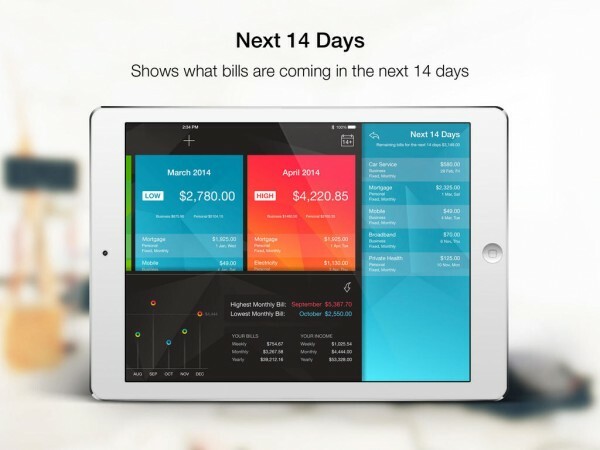 This is great for planning out your finances and making sure that you will have enough funds to pay them off and on time each month, rather than being surprised when the time comes. 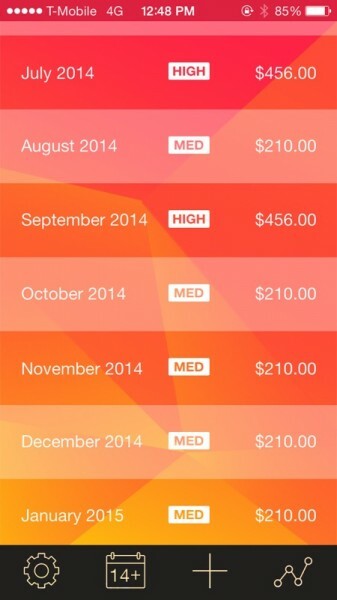 Depending on the amount, you can also see whether a month is low, medium, or high priority. 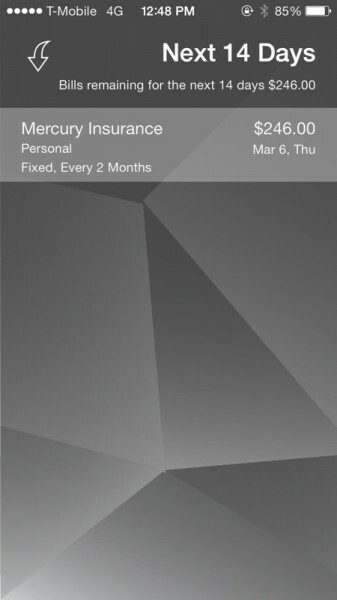 Tapping on a month will give you the month view, and that’s where you get a breakdown of the bills that will be due that month, along with how much. 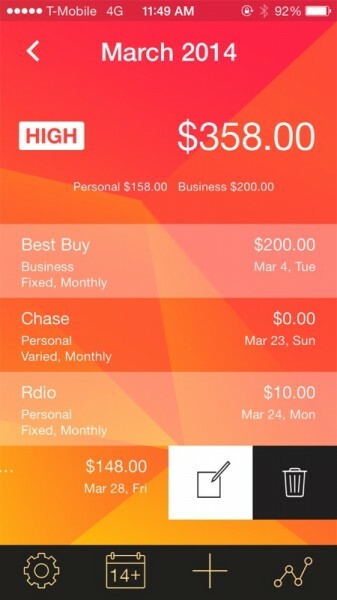 You can also see how the money due is distributed among your categories. 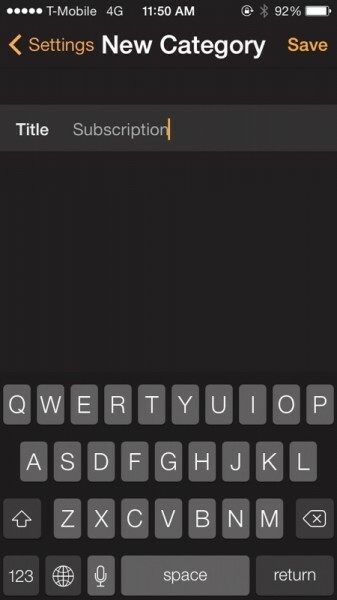 Swiping left on an item will bring up a contextual menu with the option to edit details or delete. 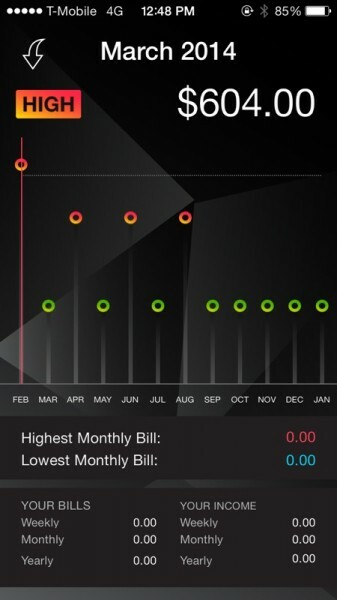 If you tap on the line graph button in the bottom, you get a graph that visualizes your bills for the year. 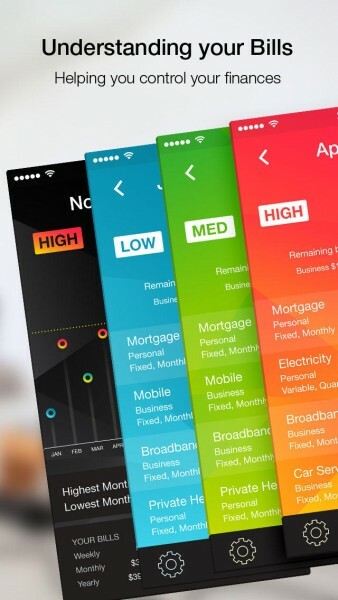 The colored dots will indicate whether each month is a high, medium, or low month, and you can see how much your lowest and highest monthly bills will be underneath. 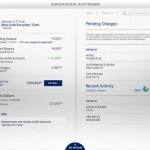 The bottom also features a breakdown of your bills and income, which is nice. 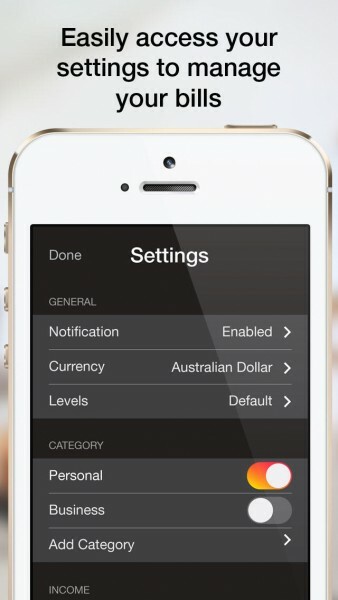 In the settings for Bills Forecast, you can toggle notifications, change the currency used, and even use custom levels for indicating low, medium, and high bills. This is also where you go for adding and editing your categories if only Personal and Business don’t work for you, and you can choose to display or hide income levels. 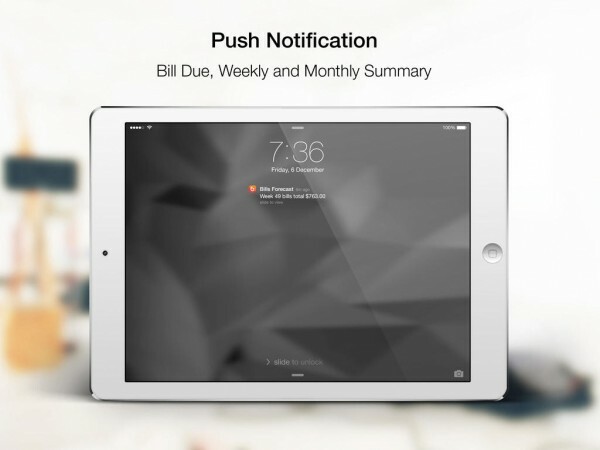 There is also iCloud syncing, so your data is available across multiple devices. 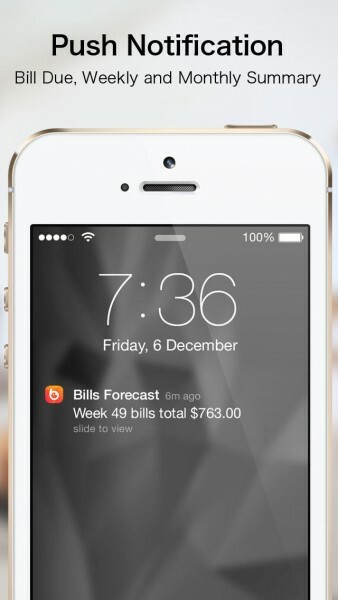 I am liking the concept of Bills Forecast, but the app still seems to be a bit on the buggier side. 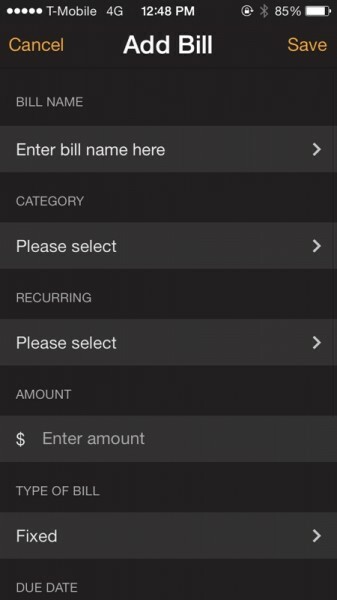 It has crashed on me a few times when entering details for a bill, and I found it a bit counter-intuitive that you cannot swipe to return to the previous screen. 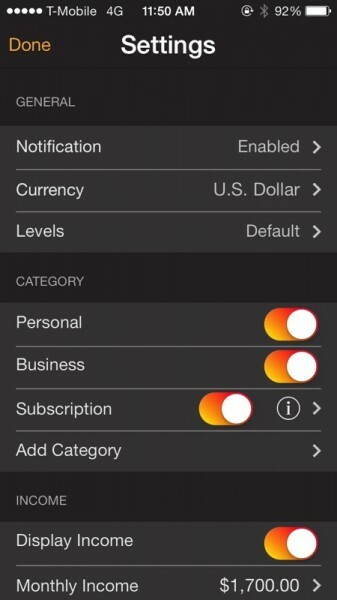 It would also be nice if you could create new categories directly when adding a new bill, rather than having to go back to Settings. 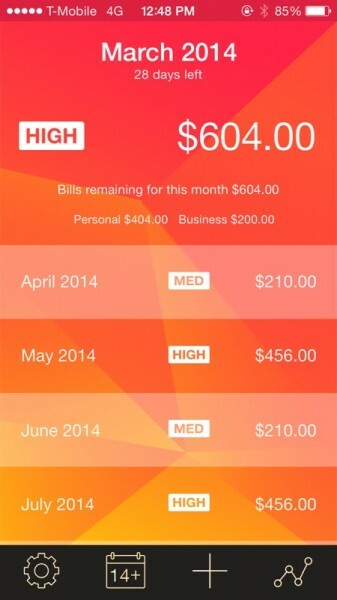 Bills Forecast is not an app for tracking which bills you’ve paid and still have due, but it is a tool for helping you get an idea of how much money you have to set aside for bills each month. If this sounds like it would be of use in your life, then I recommend picking it up, though it still has some bugs to iron out. 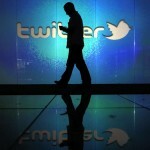 You could also just keep it on your watch list until it becomes a smoother experience. 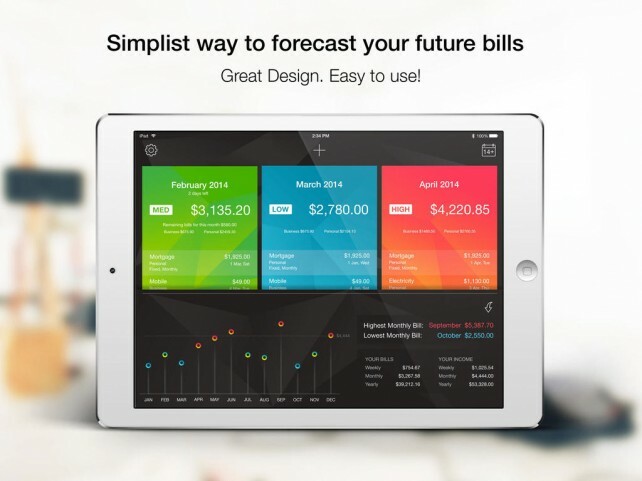 Bills Forecast is available in the App Store as a universal download for $1.99.